It’s time to put a ring on it. And you know how important that moment will be. It must be special and memorable – and hopefully a surprise too! The moment when you get down on one knee (or don’t, standing or sitting is fine too) and you take out that ring (or maybe you two don’t do rings?) and pop the question, asking that special someone to spend the rest of their life with you! That’s a big deal. If there is one word to capture it all it’s… ikonic. 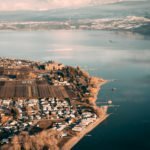 Getting Engaged in the Okanagan? Let’s fast forward to that moment. Future You is about to propose in the restaurant you had your first date or at your favourite beach spot. Sounds nice, right? You get up the courage and finally ask the question. It’s a beautiful moment. (Of course it is, you’re in love!). You’re both staring at each other with “love eyes”. Good work. You proposed successfully (we hope she said yes!). But we’re here to say… it could’ve been ikonic. Something you both would never forget. Something unique and of the magnitude that moment deserves. 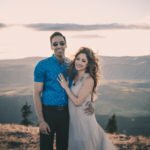 A combination of an adrenaline build-up (as you fly over the gorgeous Okanagan), a breath-taking natural backdrop (setting the mood for romance and magic), and that mountain top moment where you profess your love (that our photographer captures). You get the picture? Step 1. Be in love. Step 2. 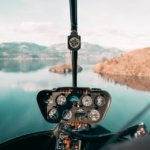 Secretly book a helicopter adventure with us. Plan to bring champagne or something else special to celebrate with. Step 3. Make up a story to get her to the heli-pad or pick her up from somewhere unexpected! 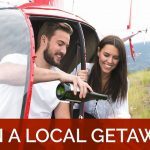 We have access to many unique and romantic pickup spots, like Sparkling Hill Resort, various wineries, or a post-hike mountaintop. Step 4. Hold hands and embrace the beautiful Okanagan views while you fly with us. 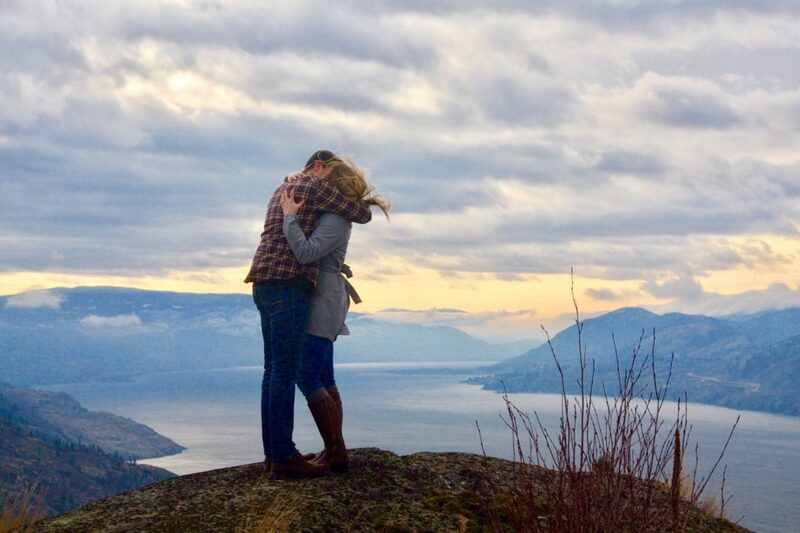 Ikon Adventures offers you options with your engagement or special occasion in the Okanagan. Customize your experience, by choosing your pickup location and your destination – or destinations – and how long you’d like to be there. Wine and dine the love of your life, then have a helicopter show-up to whisk your both away! Don’t know where you’d like to go? That’s no problem; we’ll get a feel for what you want and propose some beautiful spots or surprise you both! 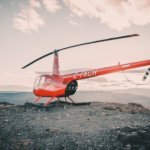 Check out our tours and heli adventures for our set destinations and flight times. Want to remember the experience forever? Let us bring along one of our professional photographers to capture the whole thing. 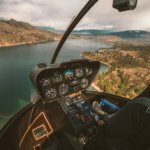 If you have chosen a photographer or have a friend who dabbles in photography (and is in on the surprise), then they can take the 3rd spot in the helicopter. Our cherry red chopper fits 3 passengers plus the pilot. Maybe you really liked the sound of the engagement scenario described above, but want to take it up a notch? 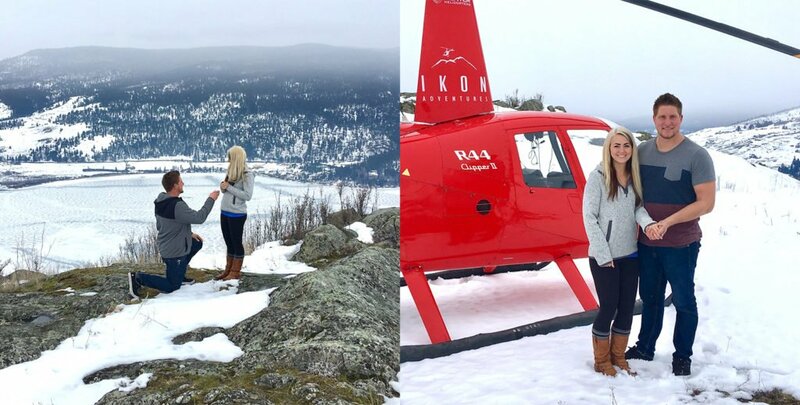 After you propose in that place that’s meaningful to your relationship, celebrate (post-“yes”) on a mountain top with a heli-picnic! 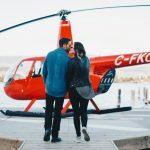 It’s an exciting and beautiful adventure to get whisked away in a helicopter to a secluded place to embrace the first moments as an engaged couple.